The planet faces a 40 percent shortfall in water supplies in 15 years due to urbanisation, population growth and increasing demand for water for food production, energy and industry, the United Nations said on Friday. Competition for water between water-thirsty sectors means better management is essential to ensure everybody gets the water they need, said the World Water Development Report. With “business as usual” the world is facing a “collapse in our global socioeconomic system,” Richard Connor, lead author of the report, told the Thomson Reuters Foundation. By 2050 two thirds of the world’s population will be living in cities and demand for water is expected to increase by 55 percent, mainly from demands related to growing urbanisation in developing countries. Urbanisation means that access to safe water and adequate sanitation, although typically higher in cities, has decreased in the fastest growing urban areas. One example is sub-Saharan Africa, where urbanisation – often unplanned – is happening most rapidly. Here the proportion of people who have piped water on their premises has fallen to 34 percent from 42 percent since 1990. “The spontaneous urbanisation, which creates slums, makes it very difficult because of the layout of the slums to provide water,” Joan Clos, executive director of the United Nations Human Settlements Programme (UN-HABITAT), told the Thomson Reuters Foundation in a phone interview from Nairobi. By 2050 the world will have to produce 60 percent more food and the global water demand for industry is predicted to increase by 400 percent, said the report, published ahead of World Water Day on March 22. The growing population will also need 70 percent more energy and water is required to produce almost all forms of it. “You have to manage water. If you’re using less water because of your proper irrigation and soil management in agriculture that allows more water to be available for other users,” Connor said. Investing in sustainable water management, although costly, pays off: a $15 to 30 billion invested in improved water resources management in developing countries can have an annual income return of $60 billion, the report said. 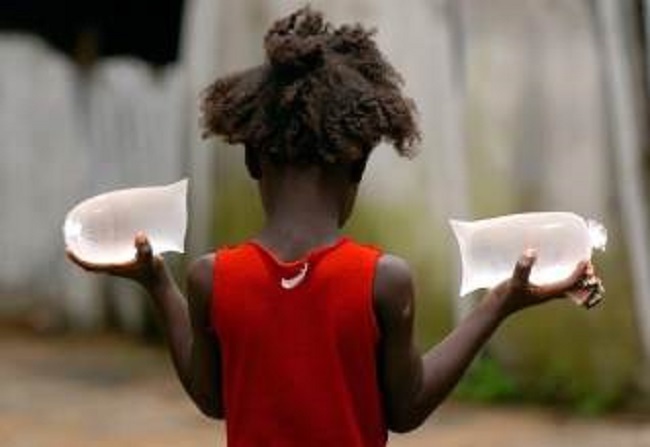 “Over the long term investing in water and sanitation is cost-effective. That is the convincing argument that it’s not just to help the poor, it’s actually good business,” said Connor. Cities with long-term water plans will have more robust economies within decades, he said, because people who have access to clean water are healthier and have a better chance of getting educated and finding jobs.